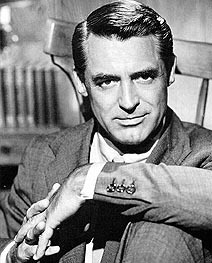 This is Cary Grant. He was NOT in GWTW. However, he did have a very successful career; you may remember that he played CK Dexter Haven in The Philadelphia Story, which we did at La Salle recently (John O'Riordan played him). Here sits Clark Gable. He portrayed Rhett Butler. He has a fine mustache and was a different type of man-stud. Furthermore, this is Brett Butler. She played the titled-role in Grace Under Fire - a semi-successful sitcom in the mid-90s. Her name sorta sounds like Rhett Butler; maybe that's where she got it from. Comcast provides Cable. It is a service that transmits television programs to humans at a reasonably fixed price. Monk, Mind of Mencia and Baseball Tonight are features of it. Pat Rush doesn't have it. 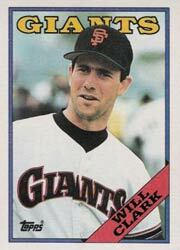 Will Clark was a baseball player in the 1980s and 1990s. He played primarily for the San Francisco Giants and was the MVP of the National League Championship Series in 1989. His nickname was "The Thrill." Lastly, here lies Anne of Green Gables by Lucy Maud Montgomery. It is a novel and became like a mini-series. My grandmother likes it. I hope this clarifies things a little. My next reviews should be coming out shortly. thanks for clearing that up for melissa and i. i love that john links to that oh so attractive shot of him from the last days of school.